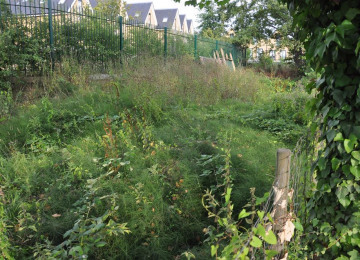 We transform inaccessible and unmanaged public land by the Grand Union Canal into an urban wildlife and nature mosaic of wildflower meadows, wetland, and fruit for foraging, wildlife, and relaxation. The site alongside the Grand Union Canal, between the Three Bridges Monument and Osterley Lock in Hanwell, is locally known as The Piggeries (also known as Humes Dock). It is approximately 1000 sq m (~10,000 sq ft) public land set aside in 2009 for nature preservation under Section 106 of the 1990 Town and Country Planning Act. 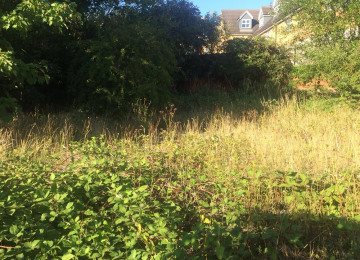 In 2015, the site remains undeveloped and is currently fenced in, unmanaged and overgrown with self-seeded trees, brambles and nettles. 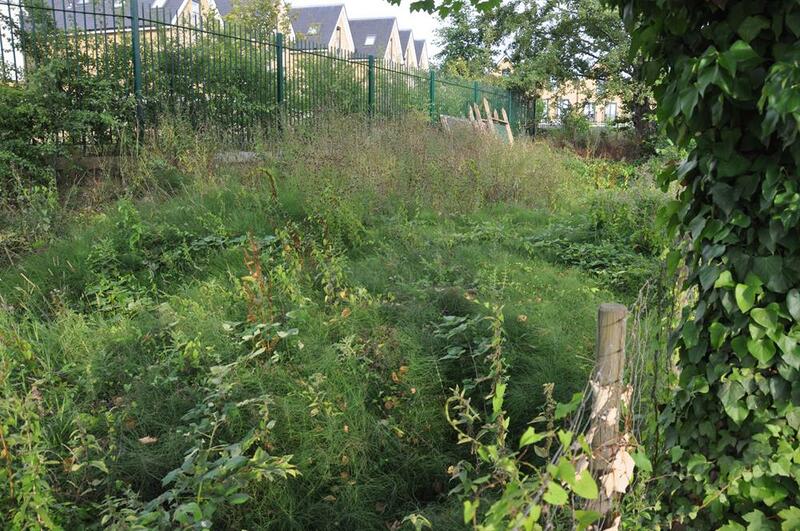 This neglected site is increasingly becoming an overgrown eyesore, attracting anti social behaviour and fly tipping. 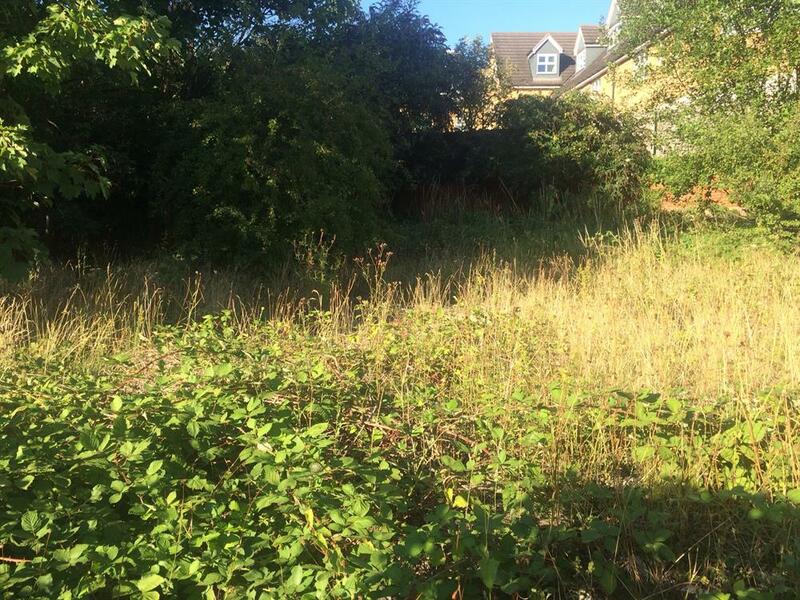 We will transform this space into a wildflower meadow, and a community orchard with a seasonal wetland, beds of soft fruit and wildlife habitat improvements such as log piles, hedgehog, bird and bat boxes. Railings, two arched entrances and a hoggin path, suitable for pedestrians, wheelchair and pushchairs, will mark the site. A noticeboard will inform the public about the site and orchard activities. Install hedgehog, bird and bat boxes and log piles for beetles and reptiles. 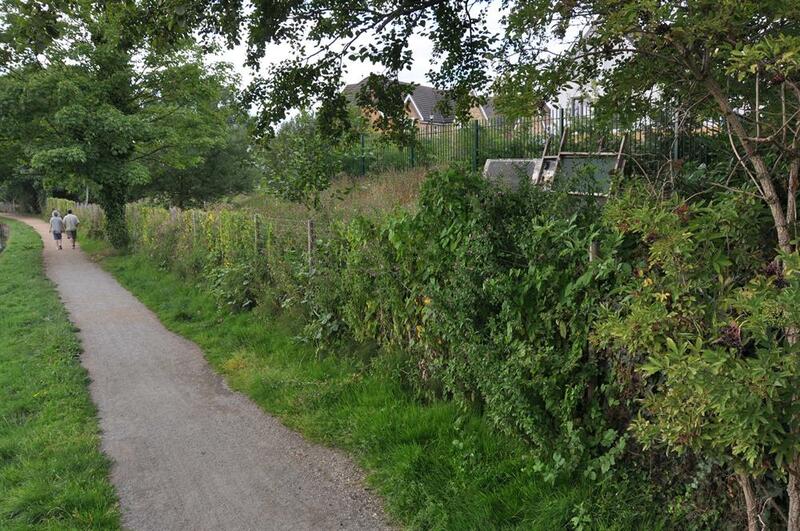 Clear overgrowth and improve conditions for existing Willow, Rowan and Hawthorn. Create organic leaf mulch, compost and wood chip for use on site. 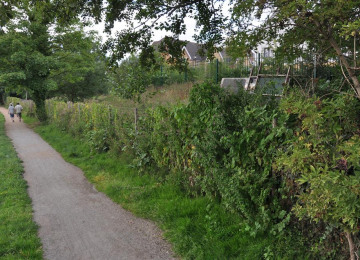 Establish a hoggin path, suitable for pedestrians, pushchairs and wheelchair users. Establish a native English fruit orchard. 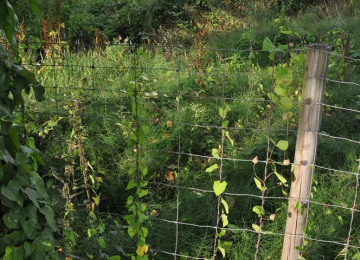 Establish a wildflower meadow to provide habitat for insects and reptiles. 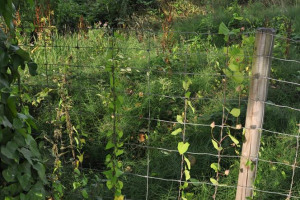 Establish an edible soft fruit hedge, kept low for a clear line of vision across the site. 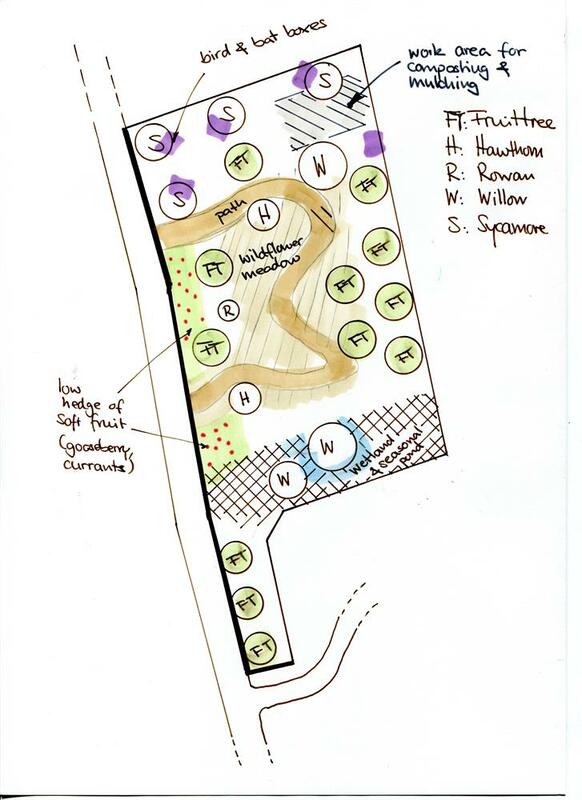 The TYS2 Piggeries Orchard project will engage local residents in growing native fruit and wildlife preservation; encouraging the foraging of free fruit, promoting a sense of community and responsibility. 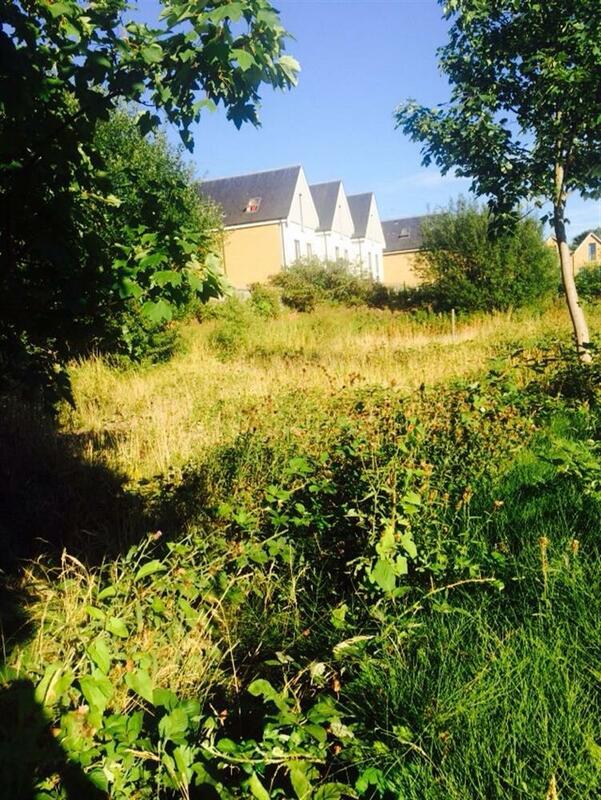 The TYS2 Piggeries Orchard will offer opportunities for education and training from the start. It improves habitat for wildlife. The towpath is already popular among residents, commuters, joggers, dog walkers or people simply enjoying the peace, tranquillity and nature alongside the canal. 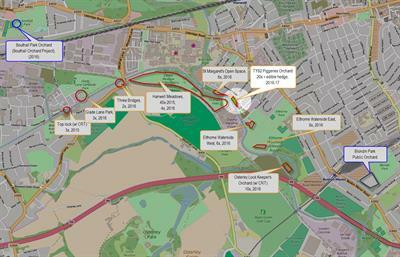 The TYS2 Piggeries Orchard connects St Margaret’s Open Space and the Hanwell Meadows to the west with Elthorne Park and Waterside to the east. Opening up, clearing and managing the currently neglected, inaccessible and unsightly plot of public land will create an attractive highlight and ensure that this land, which was already set aside under Section 106 will be developed and used as originally planned. 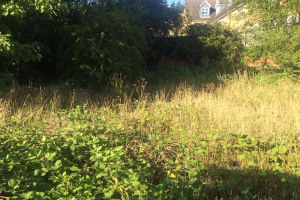 Arrange for annual hedge trimming meadow by contractors. Volunteers to clear and prepare the site for planting. Volunteers to manage the site and regularly pick litter. 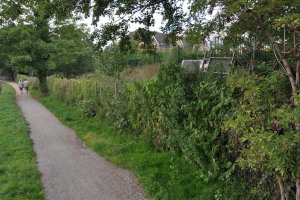 Volunteers to prune existing trees, plant new orchard and fruit hedge, establish meadow. 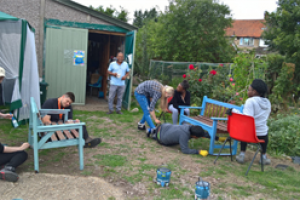 Volunteers to regularly prune, water and manage the plants. Volunteers to support the ongoing clearing and weeding effort. Work with contractors and Ealing Country Park Rangers for the heavy-duty clearing and construction. * Space for a picnic, or a game, or relaxation. The initial proposal from 2009 for Humes Dock (as the area is also known), submitted as part of the planning application for the residential development, has never been implemented. It also includes a community orchard, meadow with meandering path, log piles and other wildlife habitat improvements, very similar to this proposal. 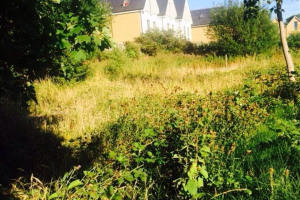 It is time to thank all our backers once again and give a brief status update: After the initial funding, land clearance and landscaping, we decided to postpone the actual orchard planting on account of an unexpectedly high water table. 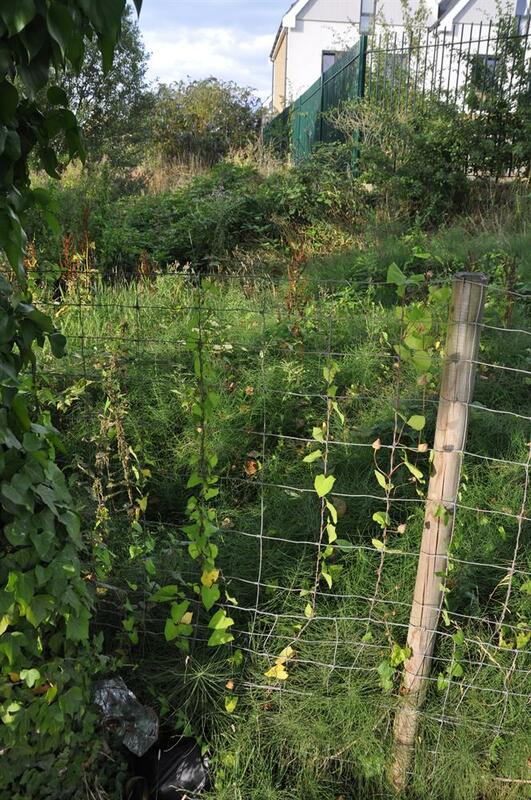 This has now been resolved in cooperation with Ealing Council and Thames Water and we planted the orchard in February. Many volunteers have been lovingly looking after it ever since. What is left to do now is celebrate the official opening. Please join us at The Piggeries Orchard opening in a casual bring-your-own picnic Saturday June 2nd from 12:00. For full details please see here: https://orchardtrail.wordpress.com/2018/05/27/time-to-celebrate/ Once again, many thanks for your support! Our heartfelt thanks to everyone who supports this project! Now that the decision by Ealing's Transform Your Space 2 selection committee is imminent, a strong indication of support for this project is more important than ever. 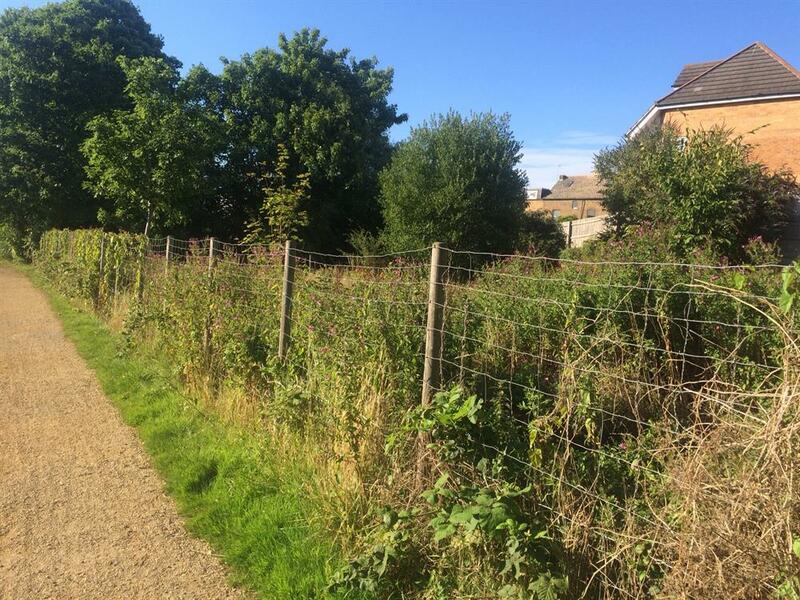 Please continue spreading the word about the TYS2 Piggeries Orchard! Exciting days! 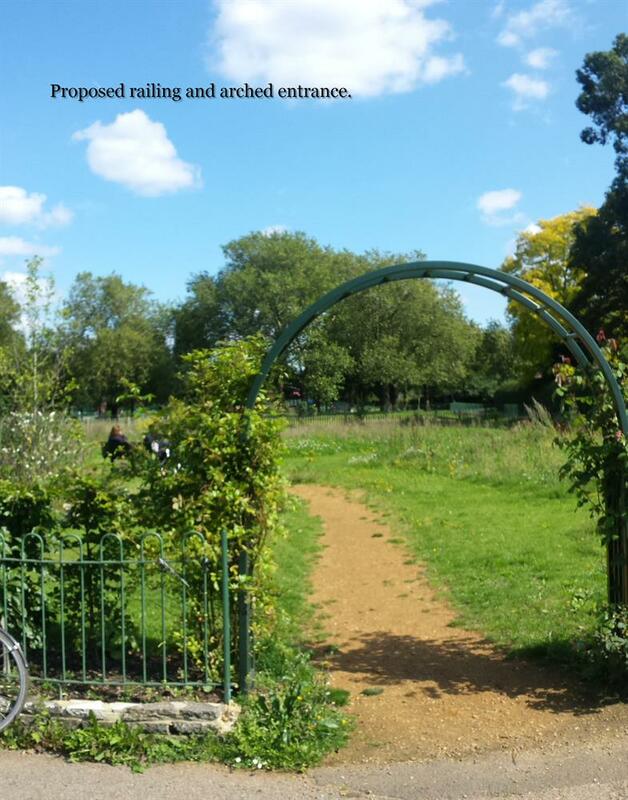 We presented the TYS2 Piggeries Orchard to Ealing's Transform Your Space 2 (TYS2) selection committee this afternoon and are very pleased with the presentation we gave, and the questions and general feedback received from the selection panel. Let's keep all legs and fingers crossed and touch wood! We started a new documentary about the TYS2 Piggeries Orchard project. One little video clip to begin with, with huge thanks to our member and producer, camera man, director, cutter, boom operator, and production assistant of choice Steve Haskett. The plan is to continue documenting the development over time with photos and video clips for a lasting record and a better way to demonstrate our work. You could be in it! 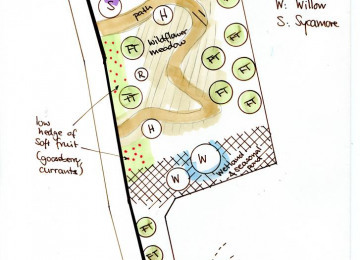 Just watch our website at http://orchardtrail.wordpress.com for announcements about clearing or planting tasks, and of course don’t stop telling your extended friends and family about this project, and encourage them to indicate their support with a “like” or the pledge of a fiver. 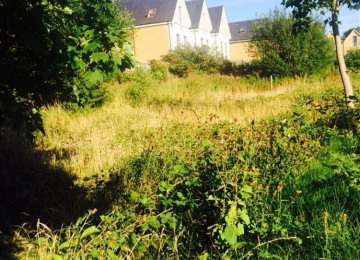 For details see https://spacehive.com/tys2-piggeries-orchard. 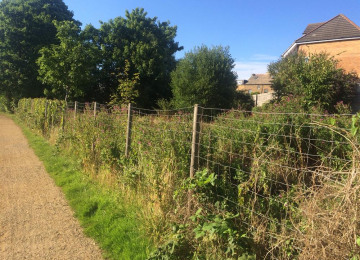 While we don't have The Piggeries video clips yet, I thought you might enjoy watching this clip put together by Hanwell and Norwood Green Orchard Trail member Steve Haskett. This was shot in the Hanwell Meadows earlier in 2015, across the canal from the Piggeries. It demonstrates the friendly and committed community of public orchard enthusiasts at work very well, spanning all ages and ethnicities. 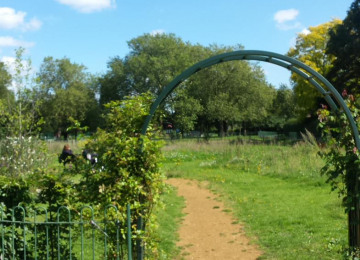 Hanwell and Norwood Green Orchard Trail is a local community project established in September 2014 with the aim to plant and care for a trail of native fruit trees around the outsides of the Hanwell Meadows (Trumpers Field, Jubilee Meadow and Blackberry Corner) and adjacent publicly accessible open spaces in West London for autumn foraging and for wildlife. We have an established membership of 60 volunteers, a committee and a constitution. Together, we planted 43 fruit trees and 25 Hazels and Rowans, and are preparing to plant a further 40 fruit trees in addition to this project. Our work is supported by and in partnership with Ealing Country Park Rangers. Our work is transparent and documented on our website at https://orchardtrail.wordpress.com. 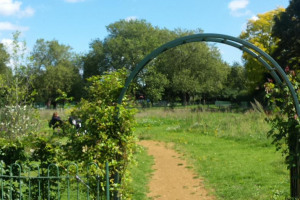 Project Delivery Manager: Hanwell and Norwood Green Orchard Trail The Project Delivery Manager takes legal responsibility for receiving and spending the funds raised and ensuring the project is delivered. Contractor: Council contractors The team responsible for building or installing the project.